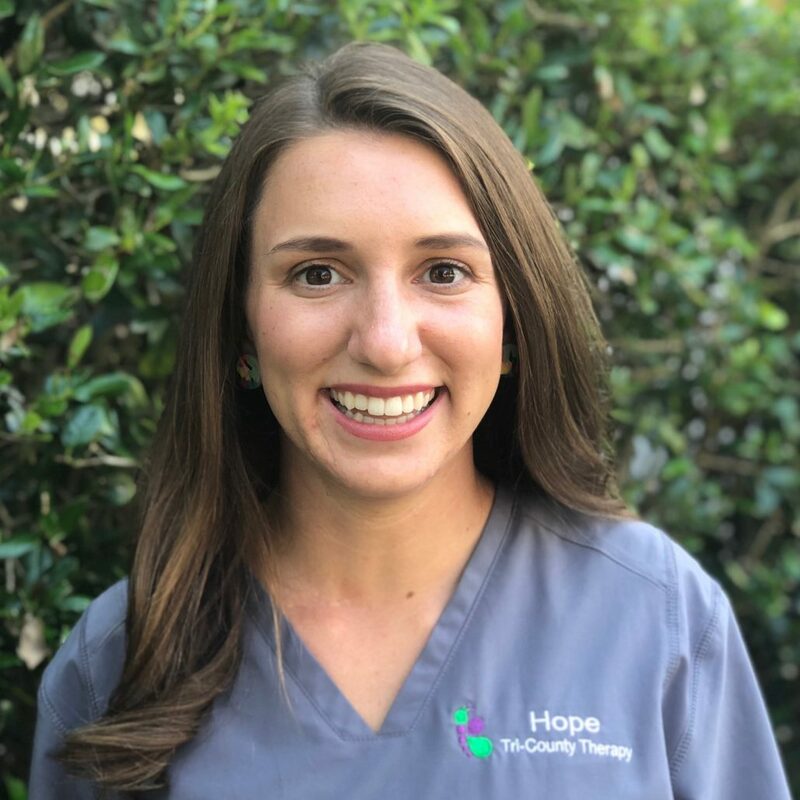 Hope is a graduate of the Medical University of South Carolina’s Doctor of Physical Therapy program. Prior to that, she received her Bachelor’s degree from the University of South Carolina- Columbia in Exercise Science with an emphasis in Motor Development. Hope has enjoyed working with children in a variety of settings, ranging from daycares and respite care to clinical rotations in a pediatric hospital, outpatient pediatric clinic, and school for children with multiple, severe disabilities. She is a member of the American Physical Therapy Association. In treatment sessions, Hope values making therapy fun for the child through play, caregiver education and collaboration, and focusing on goals that will maximally impact the child’s quality of life as they continue to grow. Hope recently married her best friend and fellow future-PT, Vander, in May 2018. For fun, Hope loves to spend a day on Folly, bike, bake, and explore Charleston with her pup.